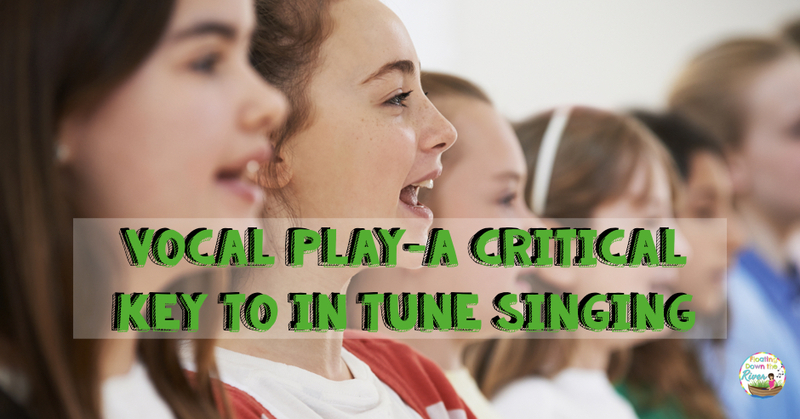 In tune singing- it is a vital part of Kodály music and a goal for most music teachers for their students. Although it is a goal, it is not always easy to achieve. You have to work at it, even to help students to feel comfortable singing in front of others and exposing their voice, which feels very personal. 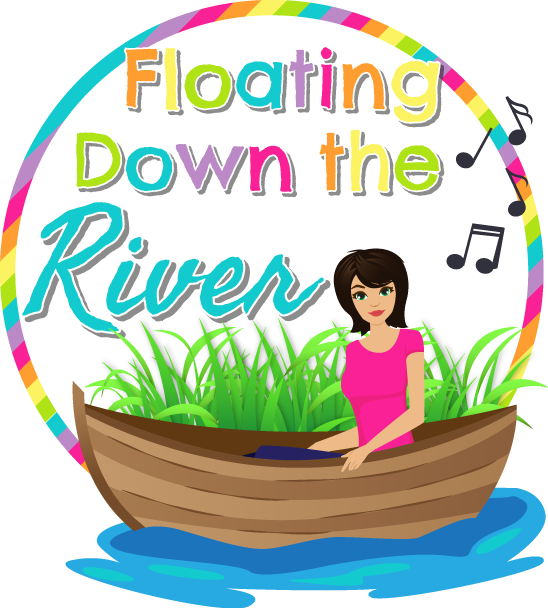 I will give you some tips on how I help students feel comfortable and help them find their in tune voice. 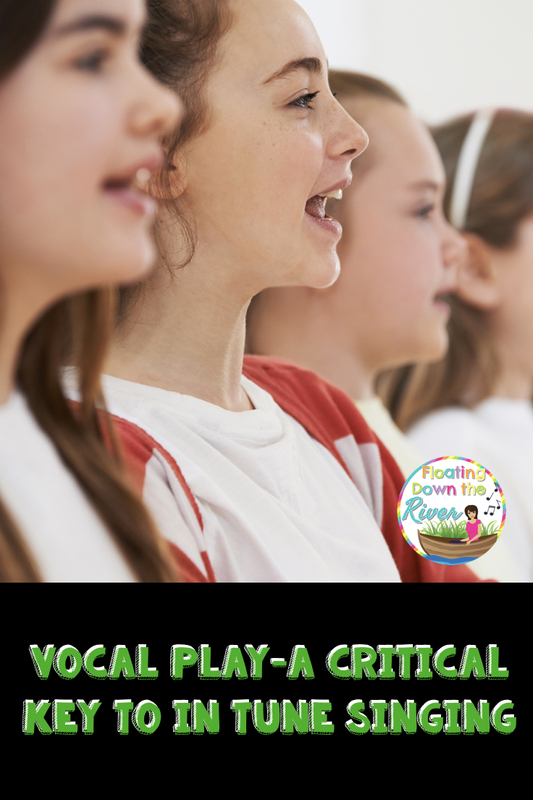 Singing and doing vocal play has to become a normal part of your classroom- a habit that every student gets into. I begin every class with an affirmation and then we immediately do vocal play, even with my 5th and 6th graders. 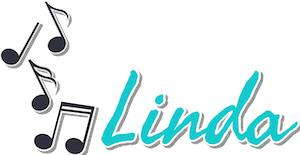 I am new to my current school this year and I teach ukulele in our fine arts program. I just got a new set of students in January and they aren’t used to doing vocal play so we had to start from the beginning. I have a student of the day that I choose from my person of the days cards (each student has one). He or she does vocal play, sits in my VIP chair, and helps with various things, such as handing out raffle tickets for answering questions. Click on the links to read about those. It becomes a habit when students do this every day, and I have an expectation that every student will be participating every time. They may resist at first but get used to it, especially if you smile and encourage. 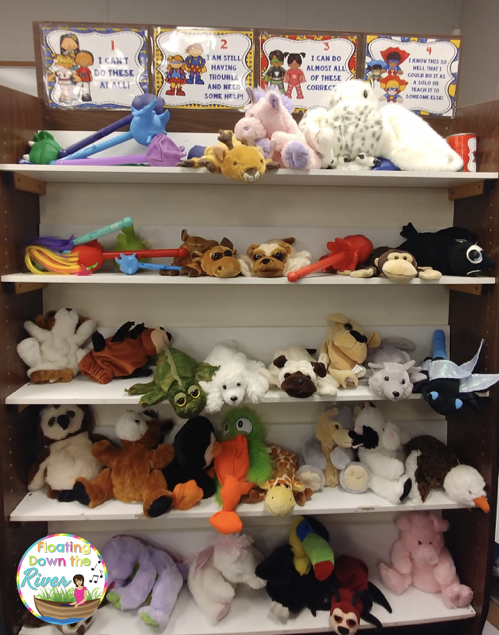 Over time, I have found lots of puppets so students have many options to choose from for vocal play. I have found many cute puppets in packs at Costco, bought some of the stick puppets at my school scholastic book fair, and found some at other places along the way. I have a book shelf full of puppets that students can choose from. I have more in boxes that aren’t even out. I think I need a puppet intervention! 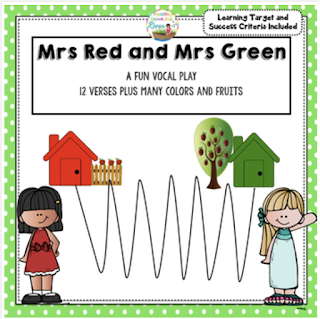 I use vocal play stories in class, especially in the lower grades. I tell stories using my thumbs talking to each other in high and low voices, traveling in various modes of transportation up and down hills or going on roller coasters, while students sing and copy. You are only limited by your imagination. I went to a workshop and the lady told a wonderful story about Mrs Red and Mrs Green just using her hands. I was so inspired that I went home a made visuals for it. I LOVE seeing how delighted the kids are to do this story, especially the part where the two meet in the middle. I love how they look forward to the new colors of houses on another day and new kinds of trees or fruits. The whole thing is magical. You can change the names to Mr’s or whatever you want. In my district, we are expected to have one major student learning objective for the year. In first grade, my melodic target is that 90% of the students will sing on pitch by the end of the year. That is a huge goal! Besides having my student of the day lead vocal play every day and doing vocal play stories on a regular basis, I motivate kids to sing solos. I have a seating chart on the stand in front of me to help remember names and to write notes on, such as whether a student sang in tune. I have some special bubble Music Microphones and tell the students that if everyone sings hello back to me, I will blow bubbles when they are done. I sing to every hello to each student. “Hello Maya!” (sol, mi, sol, mi). She sings back, “Hello Mrs Seamons” (sol, mi, sol, sol, mi, mi). 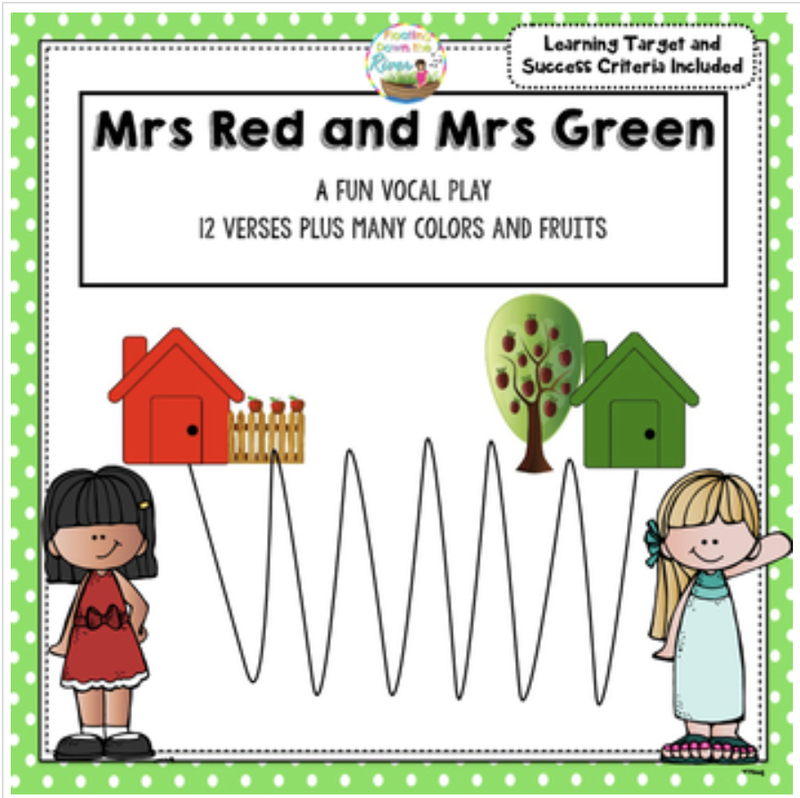 I let each student choose the color he or she will sing into for singing back to me. In the beginning, some students may be shy, so I sing with them, but they quickly learn to sing alone and get into a habit when it is done regularly. I mark a plus on my chart if they are in tune and a minus if they aren’t. When we first start this, I am super thrilled if they sing back to me. Once they get into the habit, I ask them to see if they can sing high like me. I also ask everyone (even if they are singing in tune to reach for the stars as they sing because it helps them to get their voice higher). Having everyone do it doesn’t make the one or two students who is working on getting the voice higher feel different or picked on. 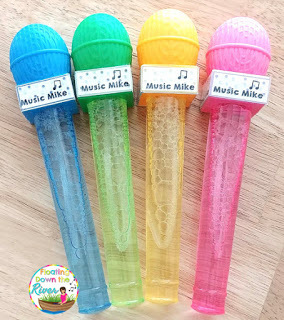 Once everyone sings to me, I break out the bubble microphones. The only rule I have is that they have to stay on their pockets. They can’t dive to grab them or jump up to grab someone else’s bubbles. I had one student who was especially hard this year- a selective mute. She really was being stubborn and wouldn’t sing. I didn’t make a big fuss but when I did the bubbles, I just didn’t aim them at her. She is now singing along with everyone else. It took some time to get her hooked but now she sings solos just like everyone else. You could use another kind of microphone or many different incentives to achieve the same thing. With the students of the day leading vocal play every class period, using vocal stories, and have students sing to me every day, in a very short time, all of my first graders sing in tune. Are they perfect every time they sing? Of course not, but they have found their high and beautiful voice and are now in tune singers! I am extremely sensitive to how I talk about in tune singing. I don’t want to cause a child to grow up and be that adult who says he can’t sing because a teacher told him that. If you wanted to give a grade on a report card, you could use terms such as improving on in tune singing or participates. If a student doesn’t sing in tune, I don’t make a big fuss. I just move on and work on it again next time. When he does finally sing in tune, I do make a big fuss and the whole class claps. These are some ways I use to help my students find their in tune voice. I hope you can use some of these ways to help your students. I will write more posts on in tune singing with more ideas later. I would love to hear your ideas too! 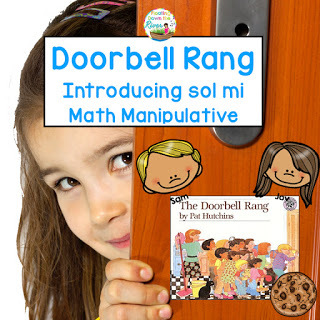 Read about matching sol mi in kindergarten through a book in this blog post.